Ambitious new graduate of The Art Institute of Atlanta with +5 years of experience in Live Audio Production, Mixing and engineering. An Ideal candidate for a position requiring drive, initiative and merit. Protools 10, Final Cut X, Ableton Live 9, Apple Logic 9, Adobe CS5 Dreamweaver, Photoshop, Illustrator, Premier Pro, InDesign, Windows and Mac software skill proficiency. 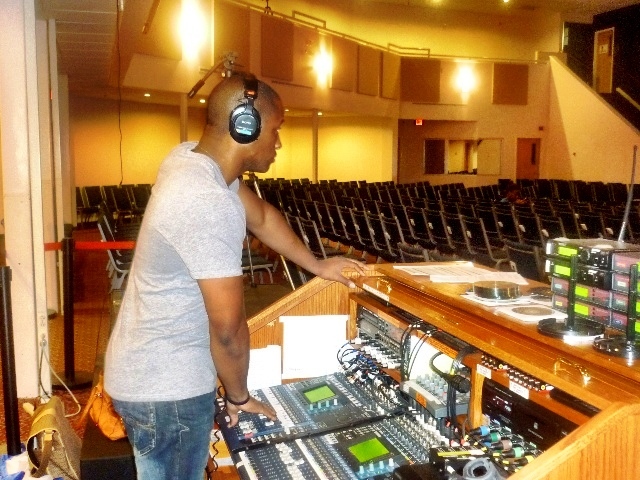 Live mixing, recording and stage management. John Wayne Bailey, Ash “33” Rosendo, Kim Holloway, etc. You might not agree with me… But this video is dope. …Because I’m still a fan of 8/16bit games. Something different for the hip-hop heads… Eric Biddines. Sonya Hall on No Malice….